More and more women are turning to nail polish, whatever the reason might be for that (that's a whole other post!) they are. FACT. Some for nail art, some to just have pretty nails without paying salon pricing. Highstreet brands have cottoned on to this, there is a wealth of different polish brands and types out there now. When you start getting the polish bug you just want to buy every polish under the sun and while this is the best way to find out what you like and don't like, I have decided to start this project with some handy tips and tricks to help you spot some great polishes to start your stash with. I will admit I have been a polish snob, I used to buy lots of high street brands but now days I hardly know what is actually on the shelves, I buy most of my polishes online. Sticking to big American brand names and Indie polishes. OPI, China Glaze, Zoya these premium brands cost the same as four or five polishes from the highstreet, and let me tell you now some of them are terrible. In fact alot of these brands are duplicated by highstreet brands so why are you paying just for a name? If you check out the recent swatches on my blog, what was the last highstreet brand on there I reviewed? I have no idea! This is bad! I intend to rectify this! Anyway I know that some highstreet brands can be dire, and normally you get what you pay for when it comes to polish but THAT IS NOT ALWAYS THE CASE! There are some amazing gems out there that are really overlooked. Plus if you are a newbie to the polish scene knowing what the best red polish is... or a jelly finish polish for nail art (are just some examples) really can make a big difference. I have done a few comparisons posts in the past about highstreet brands compared to more expensive brands and each time I have been amazed to have chosen the highstreet brand as the better polish! Check out this Review of Candy Shop by Deborah Lippmann or this comparison of hot pink texture polishes or this comparision between a highstreet brand and a polish from Brazil! Is it good for nail art? The polish will then fall under one of two categories. If it meets all (or at least most of the criteria) then STASH IT! 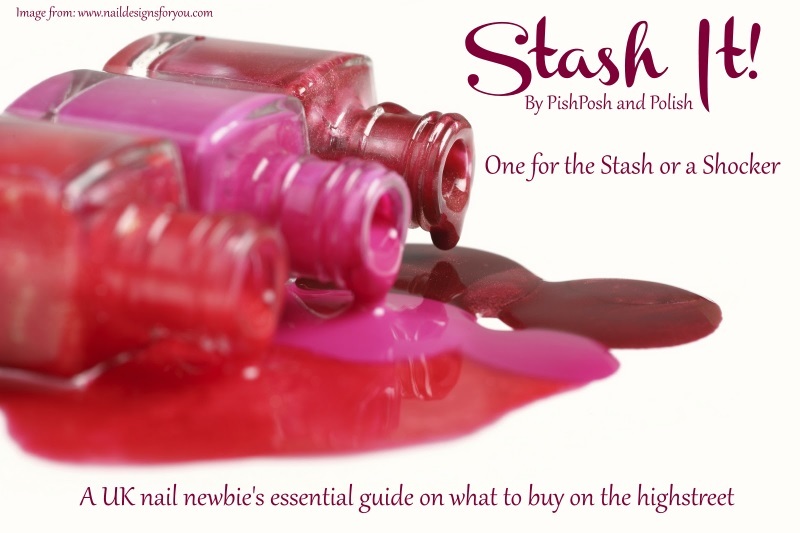 Add it to your stash knowing that it is a great polish! Or is is a SHOCKER! In which case leave it on the shelf, there is after all a difference between cheap polishes and nasty polishes! 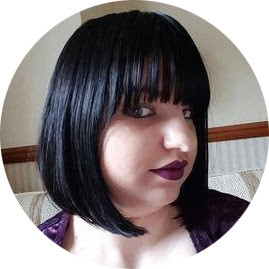 Before we get into examining the actual polishes I am going to go over some basics with you all in a few introductory posts as well. Why are we buying polish instead of going to a salon? Tip and Tricks to finding a polish bargain. If you are new to the nail polish scene, what do you want to know? I would love to hear your feedback into whether this is helpful or not. I can even create a facebook group for you to discuss your first steps into the polish world if you like! Oh this is going to be a fab series, I can already tell! Sounds like a great series! Can't wait.